Nokia is seeking an injunction preventing the import and sale of the HTC One, its rival's flagship smartphone, into the UK after winning a patent dispute. The Finnish company is also seeking compensation. The case centred on an invention filed in 1998 for the design of a modulator, equipment used by phones to transmit data. 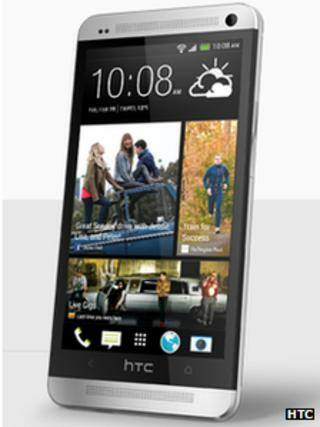 HTC said it was "disappointed by the decision" and planning to appeal. The Taiwanese company had argued that the disputed technology had been contained in chips it had purchased from Qualcomm. HTC highlighted that Nokia had signed an agreement in the US not to sue the American chipmaker over the matter. The Asian firm suggested that it did not need to take out a licence of its own because of a US Federal law known as the "exhaustion doctrine" that states that a patent owner's rights are exhausted once a protected article is sold - in other words the patent owner cannot sue a party that subsequently resells the item. However, a High Court judge noted that the US deal did not override all of the rights derived by Nokia from having registered its patent in Europe. "If the licensee has no right to sell in the UK, then a purchaser from the licensee cannot be in a better position," wrote the judge. "HTC cannot have acquired greater rights on purchasing the chips from Qualcomm than Qualcomm was granted by Nokia under the agreement." He added that sale of the chips from Qualcomm to HTC had occurred in Taiwan, where the exhaustion doctrine would not have applied anyway. Nokia is also pursuing related cases in Germany, Italy, Japan and the US. "This is the third court this year to find that HTC infringes Nokia patents, bringing the number of patents found infringed to four," said a spokesman for the European company. "In September, the US International Trade Commission gave an initial determination of infringement of two Nokia patents and, in March, the Mannheim court [in Germany] ordered HTC to cease infringing a Nokia power-saving patent." Nokia is in the process of selling its handset hardware business to Microsoft, but will retain ownership of its patents.